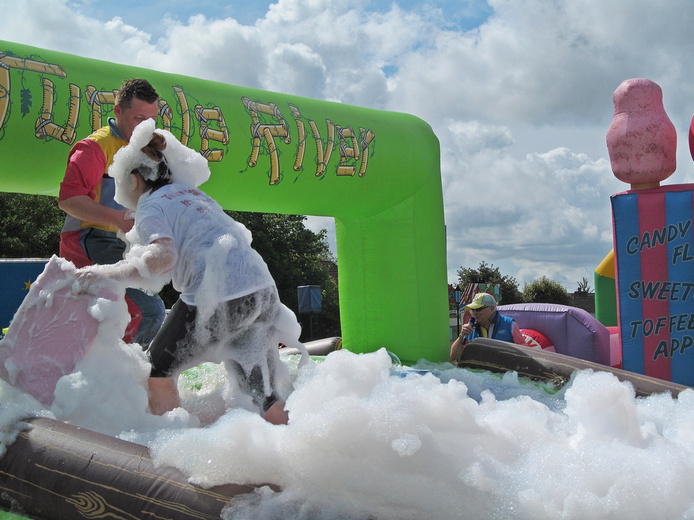 Looking for information on this year's 2017 event? It is here. 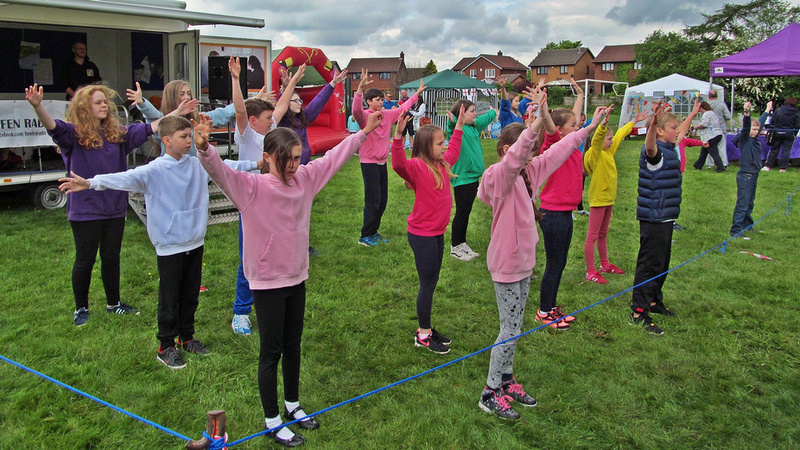 Building on the success of previous years, bringing the community together, the W.A.C.O. 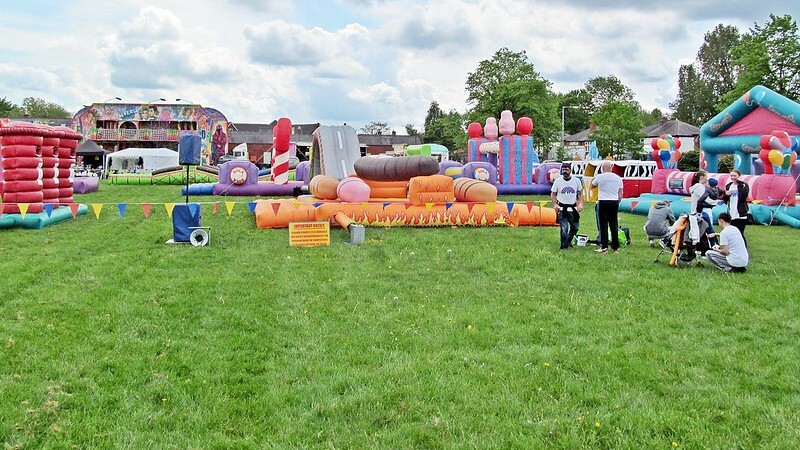 'It's A Knockout' event returned with its mix of family fun, attractions and a madcap team competition around a course of inflatables and obstacles with added water and slippery foam. 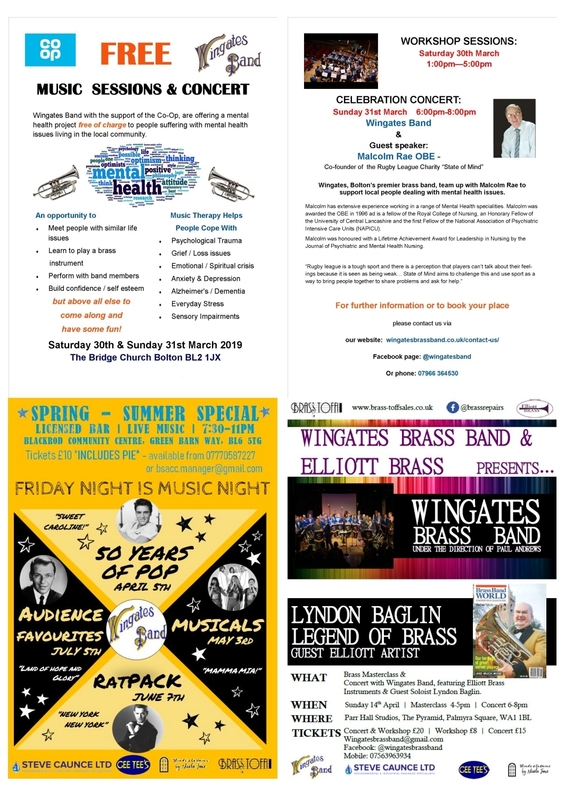 A fundraising event, some of the proceeds being donated to the 'Bolton Lads and Girls Club', supporting the new Westhoughton Youth Project and Centre, which opened its doors in January; with some going into the pot to support local groups and charities. 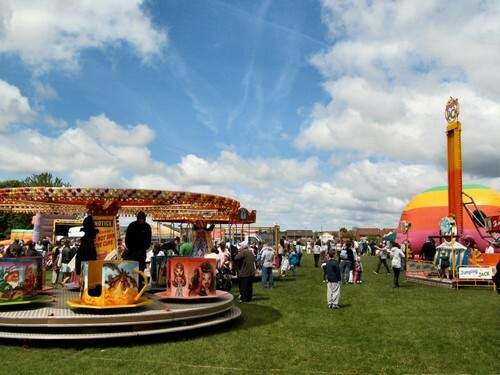 The 2016 event has now concluded with some 3,000 people attending during the day - unfortunately, the rain dampened proceedings during a two-hour spell of the event (British weather!). 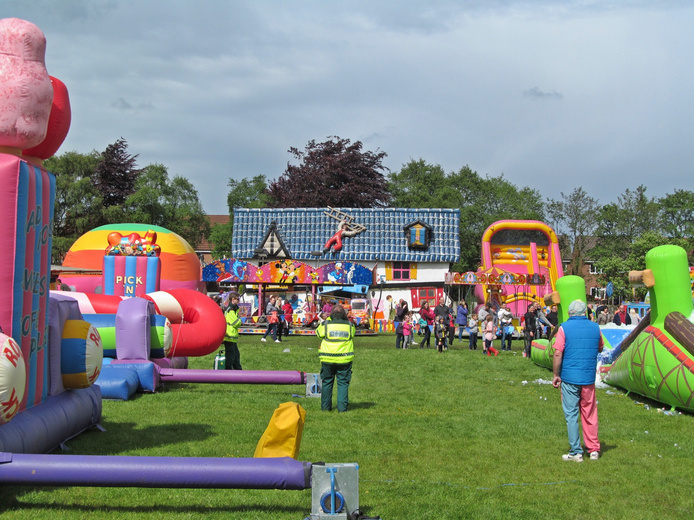 Still, fun was had and feedback positive; good to see families out in force and supporting these community events. 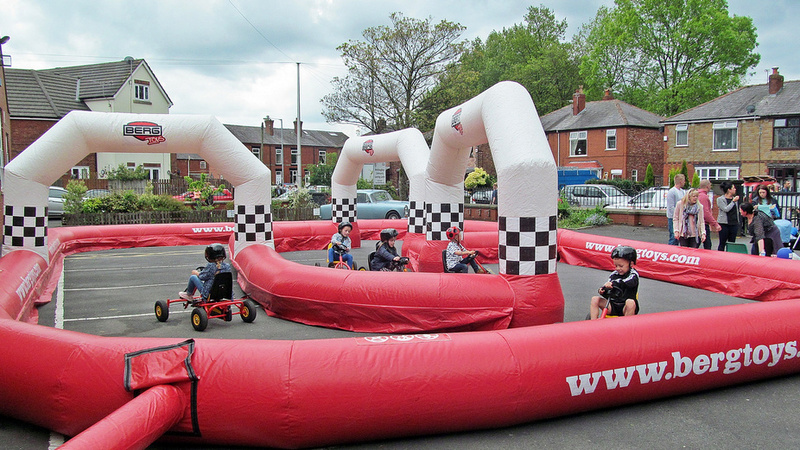 Organisers thanking Westhoughton Town Council for a grant contribution to cover some of the costs. 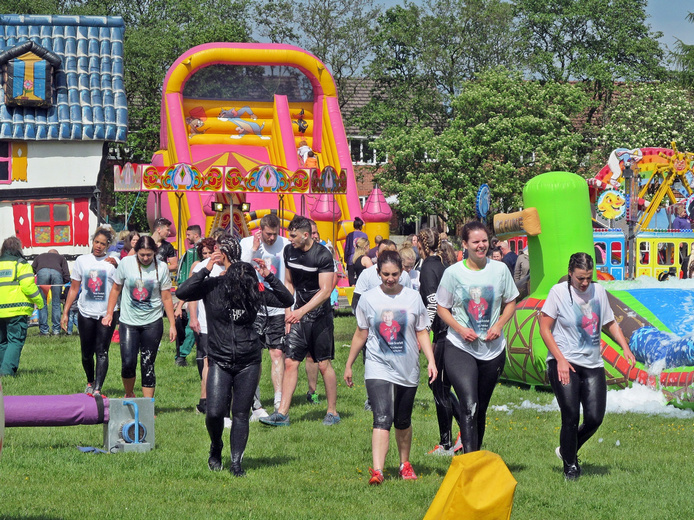 This year's It's A Knockout (2016) raised an amazing £2,600 from public and participants; as well as supporting the Westhoughton Youth Project to the tune of £1,000, the remainder will be used to support other projects in Westhoughton will over the coming year putting something back into the community. Project Leaders, Kellie and Tony McGarry, thanked everyone who supported and helped make the event happen. 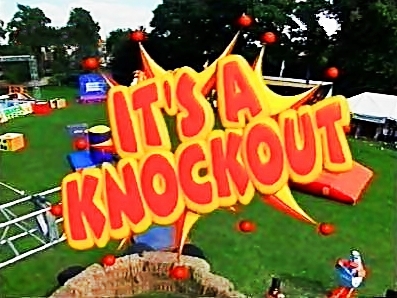 It's A Knockout will be back in 2017. 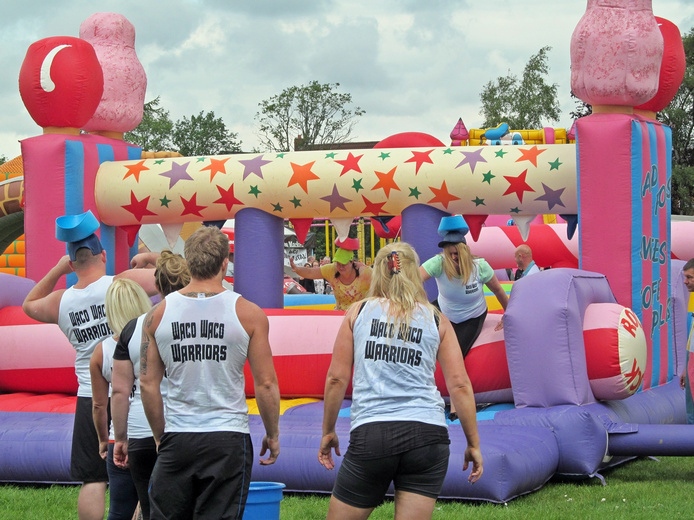 There are places for 18 teams of 10 to take part in this year's 'It's A Knockout' made up of groups of friends, clubs, pubs, local businesses, competing to win the prestigious W.A.C.O. trophy. Participants must be aged 16 and over. 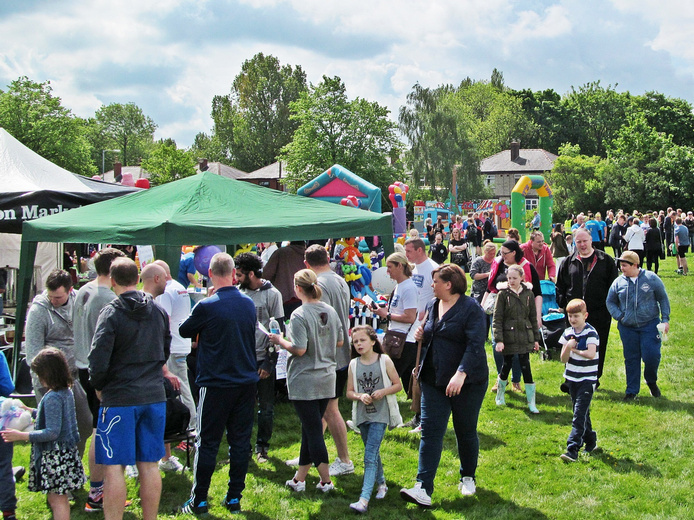 Teams taking part: Bolton Lads and Girls Club, Westhoughton Mai Tai, 3B Training, Sally’s Rockin’ Rebels, The White Lion, The Rosehill Tavern, Westhoughton Market, 'ST Inkers', Park Cakes, with more set join in the mayhem! Watch for future announcements for the 2017 event. 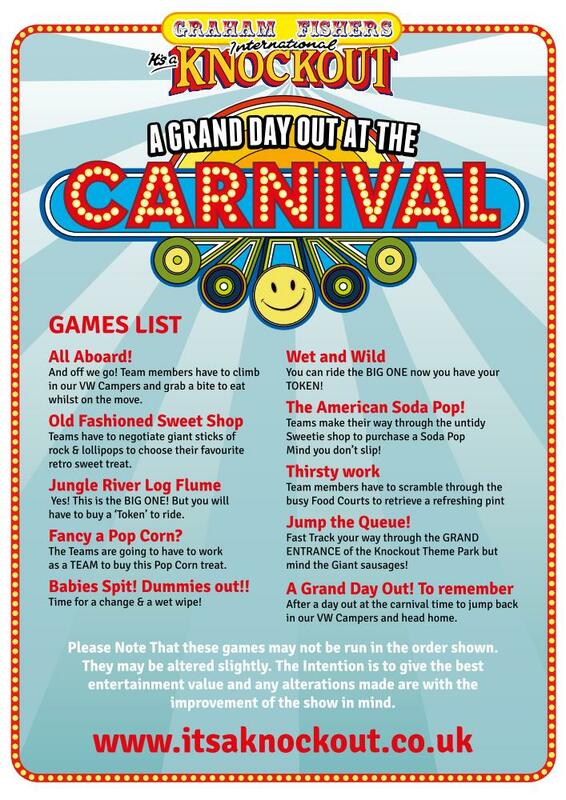 We want to make this a great event and a credit to the community with lots going on, lots to see and do. 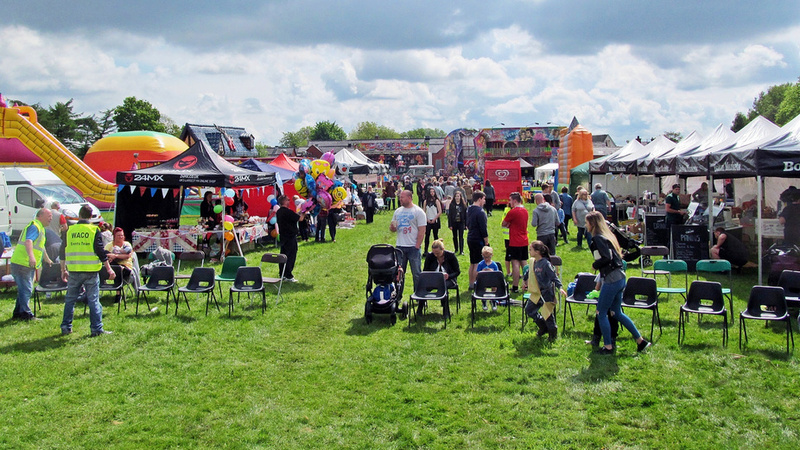 If you want to have a stall to promote your group or have an offering at the event let us know. 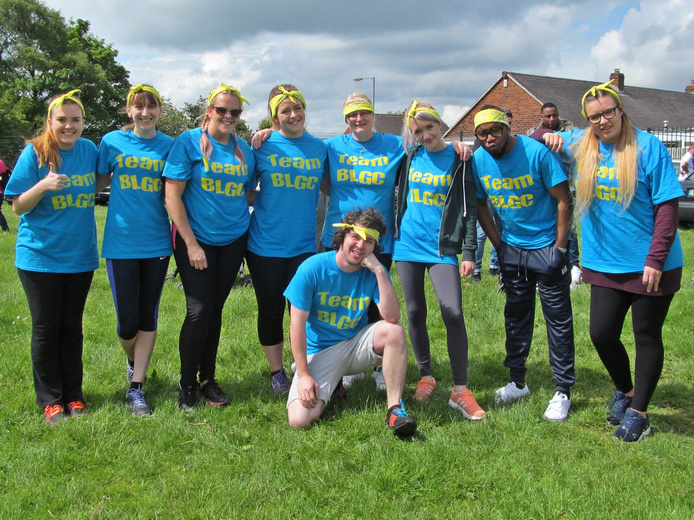 Of course, no event like this can take place without the help and support of volunteers - can you help, spare some time, be part of the team on the day? As an individual or group…?